Tubes seem excellent so far. Put a couple hundred miles on them, one thing unique is they hold air pressure really well for a light weight tube, up to 3 days at 85 psi. These are good quality tubes. Never had a faulty valve yet whilst in use. (unlike some other brands have on a frequent basis). I definitely recommend these inner tubes as they are very reliable, offered at a good price and delivered via excellent service. So far so good, feels quite durable. I would definitely recommend. 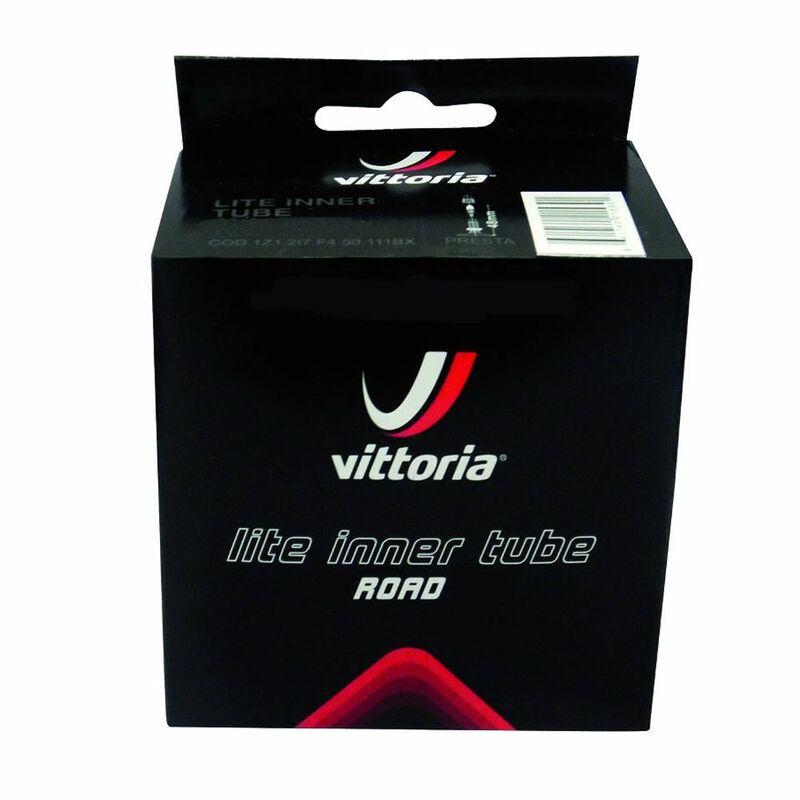 I don't like mixing and matching between different companies if I can avoid it, so with the Vittorias I now have inner tubes that go best with their road tyres. And the 80mm valve is just what I need for my deep section wheels. No more fidgeting about with valve extenders!!! Weight of 110 grams is not very light but the quality of the inner tube provides an appreciable comfort without any punctures until now. Bought to use with trainer tyre, holds its pressure well and does the job. This is my second batch of these tubes. So far so good. They do lose pressure overnight but combined with Conti GP4000 25's and DT wheels, I am happy to buy again. Switched from Conti after spare tubes failed to inflate on a ride. I like these inner tubes, no nonsense decent product. These have been fitted alongside a 25c and 28c Vittoria Rubino Pro tyres and have so far been ridden for several hundreds of kilometres and show no signs of wear. Reasonably priced and will continue to purchase these in the future. Highly recommend! Great Price, cheaper for me to buy in bulk with postage from UK for what I can buy one tube in Australia, these are very compact and fit nicely in my saddle pack. Light spares and easy to carry. I always have a couple of spare tubes at home, ready to become the spare in the saddle bag and onward in to active duty. This one is still in the cupboard waiting to be called up. It feels a bit lighter than a Michelin I also got, but these come rolled around the valve, rather than folder either side of the valve, so seem to take up slightly more space in the bag - I daren't unroll it as they never go back as small! Great value tube, good & light, work well with Vredestein Fortezza tyres. Very happy.